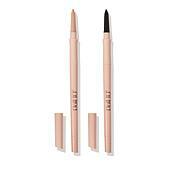 A gel eyeliner that offers the look of a liquid with the ease of a pencil. Step 1: Place your left middle finger (or use your right if your left handed) just under the eyebrow at the outer corner and apply light pressure. Close your eye slightly to get a better view of the upper lid. 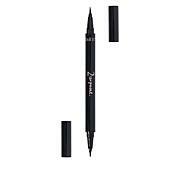 Step 2: Use short strokes to apply eyeliner from the inner corner to the outer edge of the upper lid. Start out with a thin line and let the line get a little thicker as you work your way across the lid. 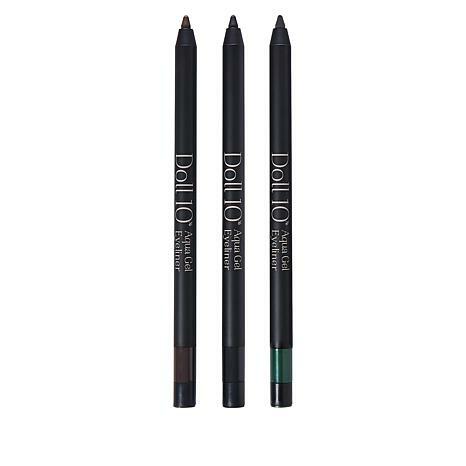 Step 3: For your lower lid, apply eyeliner from the inner corner to the outer corner of the lower lid. 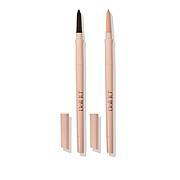 Start where the lash begins, making sure to run the brush as close to the lash as possible. Blend any harsh lines when you're done. Ingredients: Cyclopentasiloxane, Trimethylsiloxysilicate, Polyethylene, Candelilla Cera/Euphorbia Cerifera (Candelilla) Wax/Cire de Candelilla, Isododecane, Cera Microcristallina/Microcrystalline Wax/Cire Microcristalline, Nylon-12, Cera Alba/Beeswax/Cire d'abeille, Disteardimonium Hectorite, Propylene Carbonate, Butylparaben, BHT, Aqua /Water/Eau. May Contain: CI 77891/Titanium Dioxide, CI 77491, CI 77492, CI 77499/Iron Oxides.